The European software industry ranking. Your Truffle100 account. For free. The Truffle 100, created by Truffle Capital, ranks & analyzes the top 100 European software companies. By focusing & shedding the light on the top European software vendors, it increases their visibility, but is also a very efficient medium to raise awareness & analyze & promotesthe whole European software industry. The software industry is characterized by periodic technological disruptions that pave the way for new arrivals. For that purpose its results, research & statistics are released on a yearly basis, & published on this free access website. The Truffle100 is the de-facto reference for software vendors, industry observers & public authorities. Software is a full-blown industry that is experiencing compelling growth, is in continuous transformation, and serves as an engine of job and value creation. Information and communication technologies hold a predominant place in modern economies and their use is a key factor of productivity. In other words, the software sector is beginning to really matter in our economic landscape. 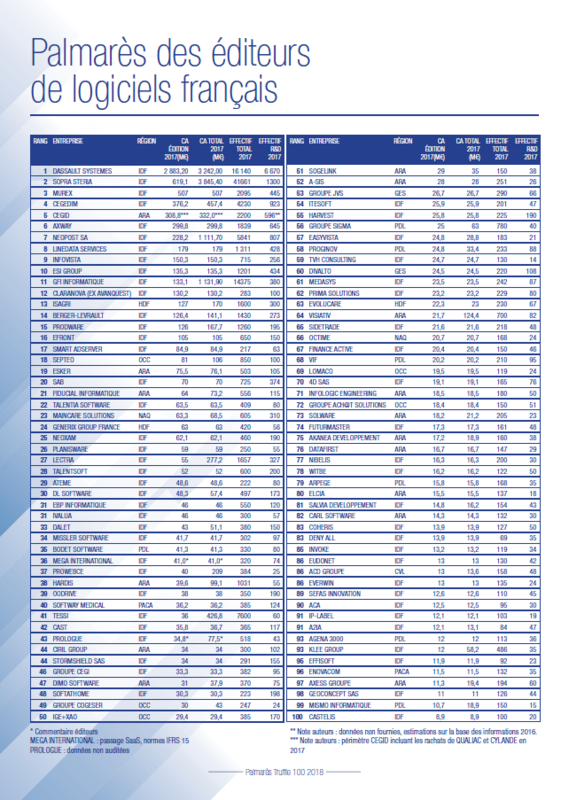 The Truffle 100 ranks & analyzes the top 100 European Software Vendors (ISVs). It was created in 2006 by Truffle Capital a leading European Venture Capital firm. The research is based on data compiled from survey and analysis conducted over the years by CXP, a Market Research Organization focusing on Software, IDC, the premier global market intelligence firm.